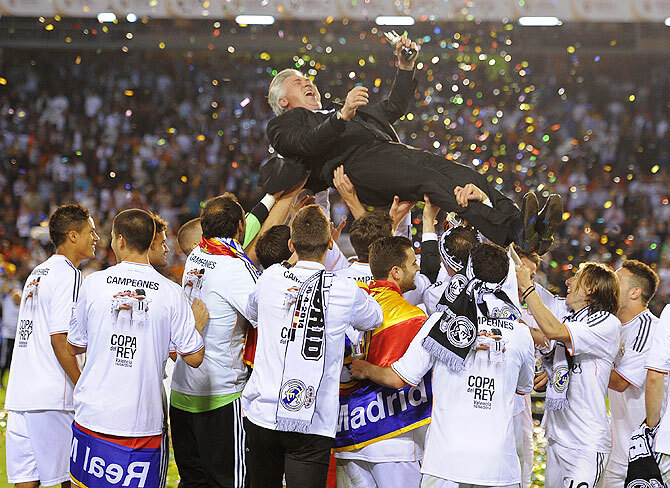 Rediff.com » Sports » PHOTOS: Champions Real Madrid celebrate King's Cup win in style! 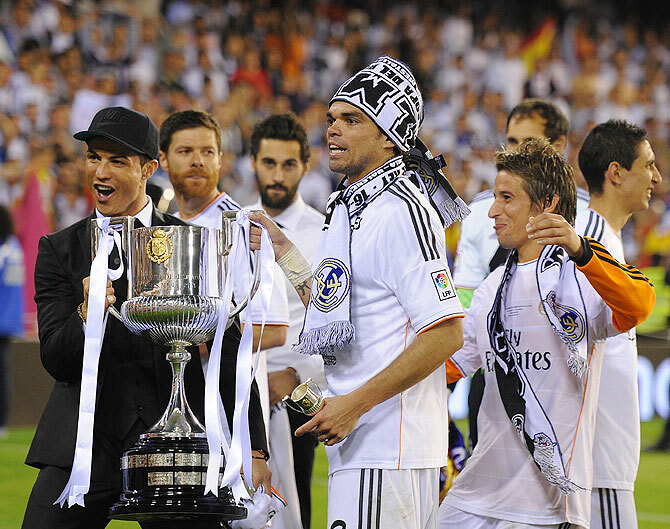 PHOTOS: Champions Real Madrid celebrate King's Cup win in style! Real Madrid took to the streets as they celebrated their King’s Cup, or what is Spanish is called the Copa Del Ray, victory over Barcelona on Wednesday. After collecting the trophy, the team flew straight back to the capital to join some 70,000 Real fans at the traditional celebrations around the central Cibeles fountain. 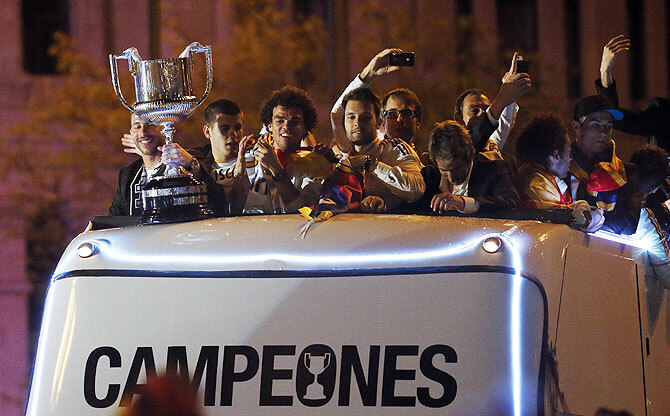 The team rode on top of a bus as they arrived at Cibeles fountain in central Madrid early Thursday morning. Earlier, Gareth Bale's brilliant winner in Wednesday's King's Cup final against Barcelona gave the world's most expensive player his first taste of major silverware and the Wales winger is hungry for more. Bale was hailed as the "Prince of Wales" in the Spanish media on Thursday after he collected the ball wide on the left near the halfway line in the 85th minute at Valencia's Mestalla stadium, shrugged off the attentions of Barca centre back Marc Bartra and charged towards goal. It was a breathtaking end to the 228th meeting between the arch rivals and Bale proved he can step up on the big occasions after a debut season disrupted by niggling injuries, during which many questioned his exorbitant price tag. His performance also helped Real make light of the absence of injured top-scorer Cristiano Ronaldo and Bale easily outshone Barca's four-times World Player of the Year Lionel Messi, who had another quiet game, and their marquee signing of the close season Neymar. 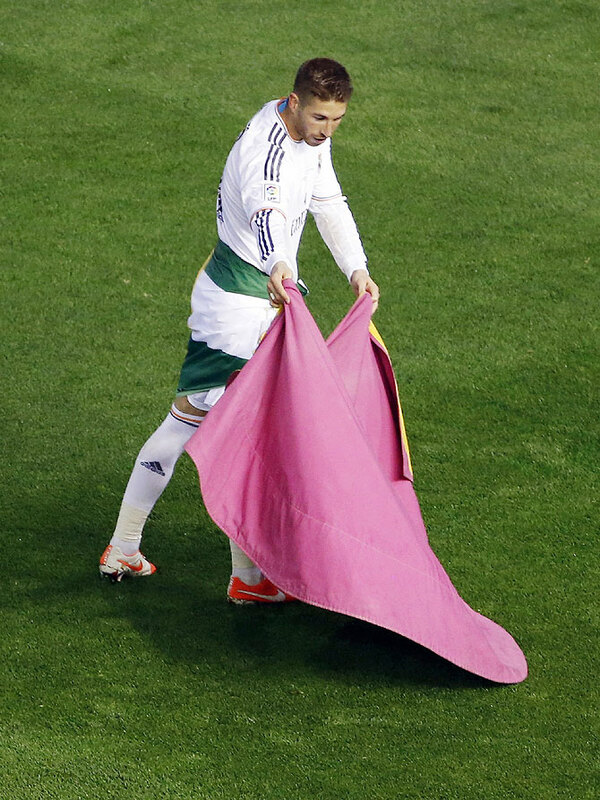 Bale told reporters scoring the winner in the Cup final was "a dream come true". "Not just because I scored but because of the work of the whole team," the 24-year-old added. "It was really special. We've won the first of the three available titles and we have to keep fighting for everything. If Bale can produce more goals of the quality of Wednesday's effort in Real's remaining games this term, Cibeles could soon be hosting another party or two and the club will consider 100 million euros as money well spent. Indian Super League: Boon or bane for Indian football? Have your say!